Need Party Canopies for your next party or event? 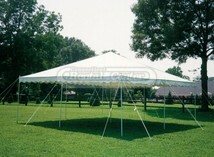 We've got the Party Canopies rentals you've been looking for. Browse our selection below. All of us Connecticut residents know just how unpredictable New England weather can be. Be prepared for the scorching summer sun or the "chance of light showers" with one of our many canopy tents. 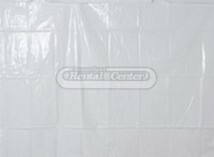 With sizes ranging from 20x20 to 20x40; Connecticut Rental has got you covered. If you're looking to make your event a little more private, we also offer side walls, as well! Our canopies are designed to be easily transportable and lightweight to make for a simple do-it-yourself installation. 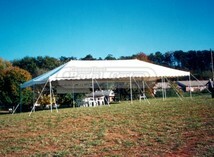 Of course, if you feel a self-installation is not for you, we offer a large variety of tents that we install too! If you have any questions about what size or style canopy tent would be the best fit for you, don't hesitate to call us at (860)-347-4688. We have experienced party coordinators that are here to help you make your next big event the best it can be! To make it even easier, you also have the option to create a wish list or request more information right through our website!